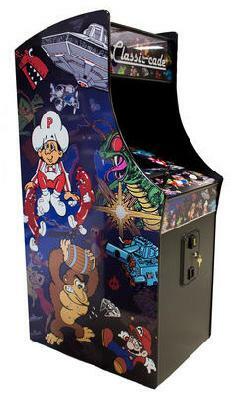 The 60-in-1 Multicade game is a brand new commercial grade upright arcade machine with 60 games in 1 cabinet. Many of the most popular games the 1980's, This machine has a 19" LED monitor, joystick, and 2-1/4" trackball assembly and is set on free play for home use. $150.00 Flat Rate Shipping in the 48 Contiguous States.